Data Structures is an arrangement and organization of data in such a way that it can be used by computer efficiently. The data can be stored in disk storage or computer’s memory. In software design data structure is used as a key organizing factor for some programming languages and formal design instead of algorithms. Array Data Structure: In this same type of elements is stored and are accessed by integers which points the location of which element is required. They may be dynamic or fixed-length arrays. Record: It is simplest data structure which is a value and holds other values. They are indexed by names and are stored in the form of fixed sequence or number. It is also called struct or tuple. Hash/Dictionary/Map: It is a spin-off of a record in which name-value pairs can be deleted and added without any constraints. Union: It specifies which primitive type can be stored in its instances and at a time there is only one value unlike records. Tagged Union: In this for better type safety, an extra field is there for its current type. Set: They are abstract data structures where values are stored without any particular order and also no repetitive values are allowed. Object: In this we can access and modify a number of program codes. Similar to records, it also contains various data fields. Different types of applications use different kinds of data structures. For example, for implementation of databases B-tree is widely used while hash tables generally used in complier interpretations for looking up identifiers. 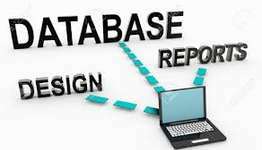 Data structure are used when there are large databases to manage and use data efficiently and for services which use internet indexing. With the help of data structure various effective and efficient algorithms are designed. This topic might get complicated in understanding. We have a team of experts who have vast knowledge of data structure and they have worked in different capacities on big projects. They will be able to help you with all your assignment needs and project work. They can also help you in clearing your fundamentals through online tutoring sessions. For online tutoring sessions, visit our online programming tutoring site. As data structure is a complex subject, students often face a lot of troubles with trees and structures. Students looking for data structure assignment help can send their assignments directly by visiting this page. For programming assignment help in other languages, visit the home page.